1. Celery – Tests have found 64 different pesticides on celery. Since celery doesn’t have a protective skin, it’s almost impossible to wash off the chemicals that are used on conventional crops. 2. Peaches – 62 different pesticides have been found on peaches. 3. Strawberries – Chances are, if you buy strawberries out of season, they’re most likely imported from countries that use less-stringent regulations for pesticides. Tests have found 54 different pesticides. 4. Apples – They’re typically grown with the use of poisons to kill pests from fungi to insects. Scrubbing and peeling doesn’t eliminate chemical residue completely, so it’s best to buy organic when it comes to apples. 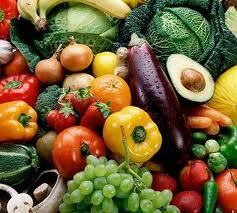 Besides, peeling a fruit or vegetable strips away many of their beneficial nutrients. 42 different pesticides have been found on apples….in fact, one test found seven different chemicals on a single apple. 5. Blueberries – They’ve been treated with as many as 52 different pesticides, thus making them one of the dirtiest berries on the market. Blueberries are considered a superfood, but this only applies if they are organic. 6. Nectarines – With 33 different types of pesticides found on nectarines, they rank up there with apples and peaches among the dirtiest tree fruit. 7. Bell Peppers – Tests have found 49 different pesticides on sweet bell peppers. Their thin skins don’t offer much of a barrier to pesticides. 8. Spinach – Can be laced with as many as 48 different pesticides. The chemicals used to treat spinach may cause cancer or interfere with hormone production. 9. Kale – There are actually fifty commonly used pesticides when growing kale conventionally! It is surprising, actually, to find out that kale is so heavily sprayed because it is such a hearty vegetable. The reason for this is that when kale is grown on a large scale, in an agricultural setting, it attracts a lot of pests. This pesticide residue cannot be totally rinsed off, and since you cannot peel kale, it is best to buy it organic. 10. Cherries – Even locally grown cherries are not necessarily safe. In fact, in one survey in recent years, cherries grown in the U.S. were found to have three times more pesticides than imported cherries. Government testing has found 42 different pesticides. 11. Potatoes – Can be laced with as many as 37 different pesticides. 12. Grapes – Imported grapes run a much greater risk of contamination than those grown domestically (only imported grapes make the 2010 Dirty Dozen list). Remember, wine is made from grapes, which testing shows can harbor as many as 34 different pesticides. There’s also a “Clean 15” list of fruits and vegetables that do not need to be purchased organic due to their low pesticide levels. So there you have it, buy certified organic when you can…especially those foods found on the Dirty Dozen. But you don’t have to break the bank or your budget – there are conventional foods that are safer than others. The second link on my resources list is a printable guide for the Dirty Dozen and Clean 15….to carry in your wallet or purse. I hope this helps!